Many individuals are still under the illusion that tax debts can be eliminated upon their declaration of bankruptcy, no thanks to misleading radio and television commercials. But this is so far from the truth and even an entry-level accountant in our Rochester accounting firm – Rizzo, DiGiacco, Hern&Baniewicz – will certainly agree with the observation. Why? Most tax debts billed by the Internal Revenue Service (IRS) cannot be wiped out by bankruptcy regardless of the number of years that has elapsed between the filing for it and the recovery from it. You will continue to owe tax debts at the end of your Chapter 7 bankruptcy case and you have to repay these debts in full under a Chapter 13 bankruptcy repayment plan. The bottom line: You still owe the government money for your assessed tax debts regardless of your state of bankruptcy at present. You may not pay your tax debts now but you will be required to pay at a future date. Let’s just say that there are no escaping Rochester taxes in bankruptcy, not even in death. It must also be emphasized that, even in business bankruptcy, the debts resulting from a sales tax audit and a labor audit are still outstanding in nature. You may be required to find ways (i.e., sell off assets) to pay for these monetary obligations. In this regard, you will want to become involved in basic tax planning with a Rochester consulting professional. Ask for a discount, if it comes down to it because the fees you will pay the Rochester accountant for his professional expertise on the matter will be recouped in terms of the benefits reaped in the future. Basically, tax planning in the wake of a bankruptcy will involve including a certain amount for the payment of taxes when future income/cash flow comes in. The Rochester CPA may even be able to provide financial planning tips to the mix. You will certainly find his suggestions useful in your recovery from bankruptcy, thus, resulting in lasting results. Think of the accountant as CFO outsourcing albeit on a considerably lesser scale. But there are instances that tax debts can be discharged! All of the following conditions must apply in your present circumstances: (Emphasis must be made on “all” because a single missing criterion will result in disqualification for discharge) • The taxes are income taxes. • There was no commit willful evasion and/or fraud during the filing of your tax returns (i.e., using false Social Security number). 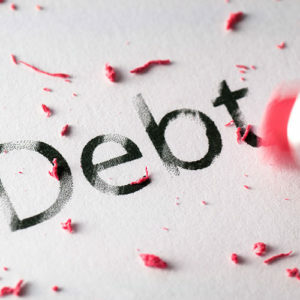 • The tax debts are at least 3 years old (i.e., the tax return was originally due at least 3 years before the bankruptcy filing was made) • The tax return for the tax debt for discharge was filed at least 2 years before the filing for bankruptcy was made. • The income tax debt was assessed by the IRS at least 240 days before the filing for bankruptcy petition. Suffice it to say that discharging your tax debts in the face of bankruptcy is not as easy as the radio and television commercials make it sound. You may even say that it is far easier to establish an organization with a non-profit account and then escape paying taxes on its income-generating activities.